Episode #48 - Casting Director Lisa London • Where Hollywood Hides... the home of classic TV, movies, music, & celebrities! Lisa London tells how it’s done! 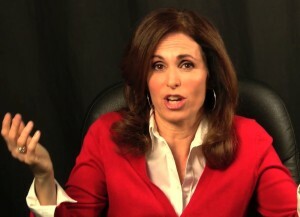 Casting Director Lisa London joins Bob & Suzanne and delivers a message every actor needs to hear! Lisa is the daughter of Jerry London, one of Hollywood’s legendary television directors. She grew up on her dad’s sets surrounded by major Hollywood stars. It was there that she found her show business inspiration. After more than two decades casting for major studios like Sony Pictures, 20th Century Fox, Adam Sandler’s Happy Madison Productions, as well as for every major broadcast network, London-Stroud has been consistently responsible for discovering young acting talent and putting them on the road to stardom. It was Lisa’s keen eye for talent that tapped Myley Cyrus for her showbiz debut as Hanna Montana, cast Jennifer Aniston in her first feature film, and brought superstars like Emma Stone, Mark Ruffalo, Jonah Hill, and Selena Gomez to the public’s attention. 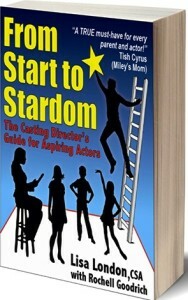 In this interview, you’ll also hear how Lisa came to write From Start to Stardom – The Casting Director’s Guide for Aspiring Actors, a serious step-by-step roadmap to breaking into and thriving in the Hollywood acting scene. She also talks about the realities of casting sessions and the necessity to “make a choice” as an actor, and shares her tips for a successful professional audition. If you’ve ever dreamed of an acting career…if you truly want that starring role…you’ll want to hear Lisa London as she shares her passion. Come hear Lisa tell it all in her own words in this inspirational interview!